Have you ever walked into a room during the day and thought “it looks really dark in here” and then seen the same room at night where it feels bright? The lights in the room are putting out the same number of lumens, but due to the sunlight, our eyes perceive the lights differently, making it feel alternately dim or bright. 1. What’s a lumen? What is perceived brightness? Put basically, lumens are the brightness you read about while perceived brightness is what you see. Lumens are a standard measure of brightness designed to allow for apples-to-apples comparisons of different kinds of lights and light sources. They measure luminance objectively. Lumens are one of the measures included in a light’s specifications, along with watts and Kelvin temperature. In technical terms, a lumen is a unit of luminous flux that is equal to the amount of light given out through a solid angle by a source of one candela intensity radiating equally in all directions. 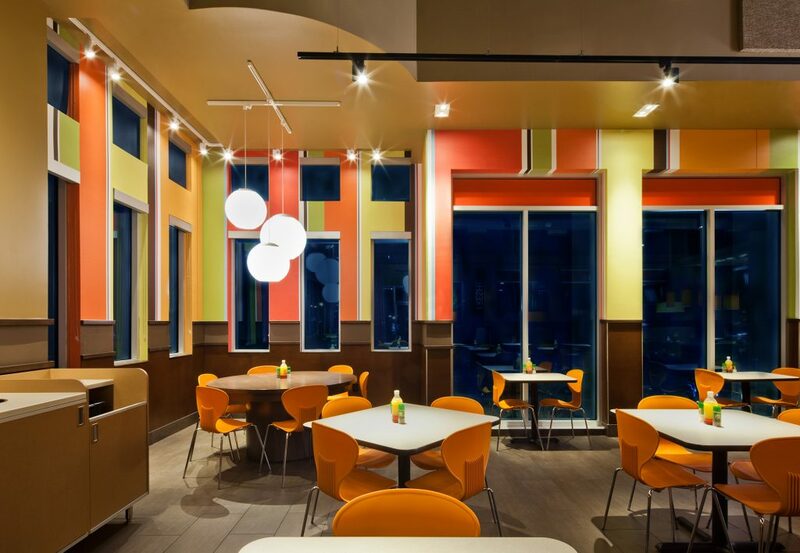 While lumens are a defined measurement, brightness is a subjective attribute we assign to light. Brightness is perceived, not measured, which makes it a squishy thing that can differ from person to person and according to a variety of other factors, such as the color of the light and how bright the environment is around the light. Our retinas have two kinds of photoreceptors—rods, which are responsible for our low-light vision, and cones. Cones are active at higher light levels than rods and they are how we see color. While the average person can experience about seven million colors, we can’t see them all equally well. The human eye is more sensitive to some colors than others. Color sensitivity makes different lights appear brighter or dimmer. For example, all other things being equal, cooler-toned (blue) light looks brighter than warmer-toned (red) light. 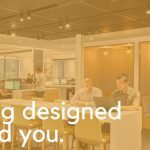 Backgrounds amplify this effect, so walls painted in warm colors will make the space feel dimmer than spaces with cooler palettes. Going back to the rods and cones, while cones manage color receptivity, rods determine how large our pupils should be. The larger (more dilated) our pupils are, the more light enters our eyes. In dark situations, our rods dilate our pupils so we can see better. This impacts how we perceive brightness. It would be logical to assume we would see a space as 50 percent darker when the light source is dimmed by 50 percent. However, because of the way our pupils operate, brightness does not follow a linear line on a graph (the black line above). 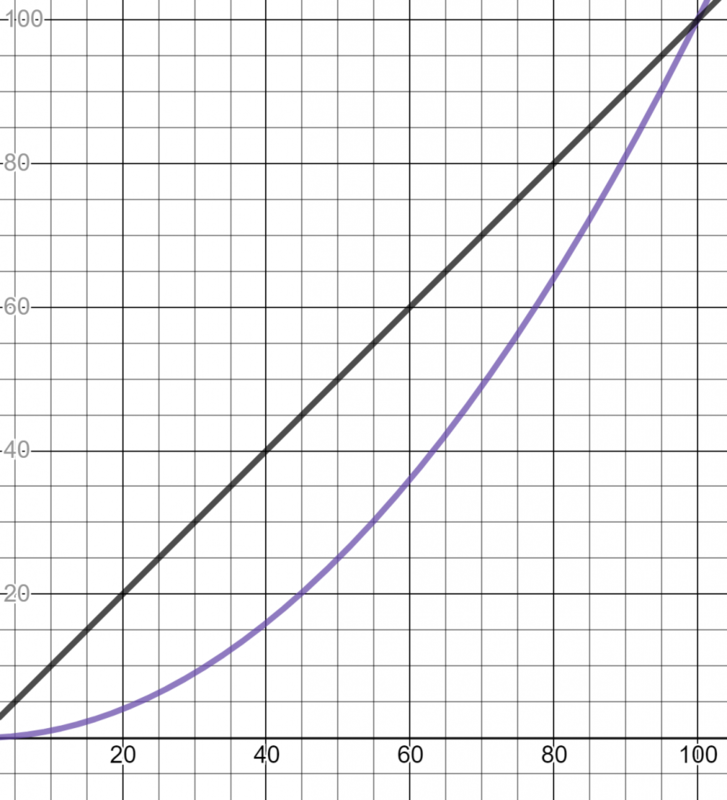 Instead, brightness follows a logarithmic curve, where perceived light = √measured light (the purple curve in the graph above). A space dimmed to 50 percent only appears to be dimmed 30 percent. If the measured light is 10 percent, then the perceived light level is √10, which is 0.316, or 31.6 percent. 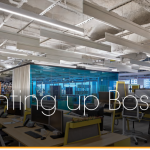 Lighting manufacturers specify dimming levels as measured light, rather than perceived light. Remember a dress that went viral in 2015? 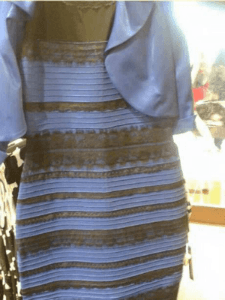 The internet was split over whether the dress was white and gold or black and blue. The dress actually was black and blue, but it was photographed in shadow and that confused many viewers. 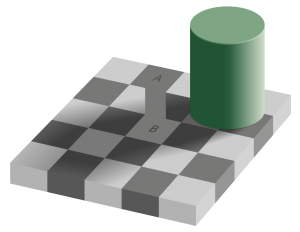 The dress is an extreme example of the way that shadows and contrast can fool our eyes and make lights appear brighter or dimmer than they really are. Another example would be if you take a photo outside on a sunny day, the photo will have much deeper shadows than you’re actually seeing in reality. The reason is our brains compensate for shadows so we see shadows as being brighter than they are. 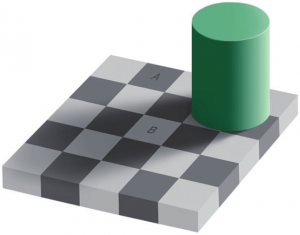 A famous example of the shadow illusion in action is this checkerboard by MIT professor Edward Adelson: Squares A and B are actually the exact same shade of gray, but our brains trick us into seeing B as much lighter than A because it is in shadow. 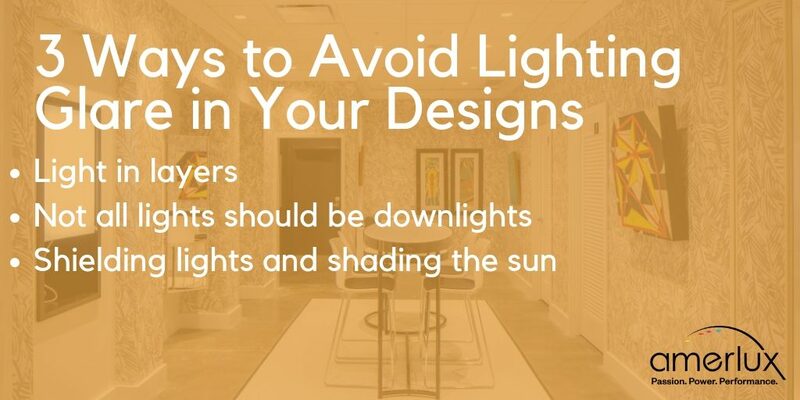 When it comes down to how bright a space will be, lumens are a partial guide but you’ll also want to keep other factors in mind, such as the color temperature of the light and how the fixtures dim.